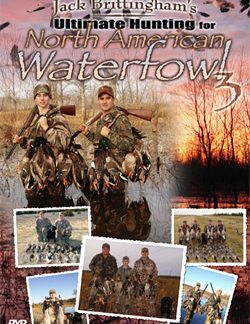 The Briar Lakes Hunting Team is proud to bring you the most action-packed Waterfowling Adventure yet, Ultimate Hunting For North American Waterfowl 3. 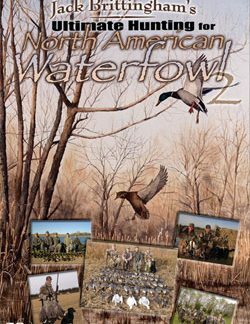 Join Jack Brittingham and friends as they hunt for North America’s waterfowl from Canada to Texas. 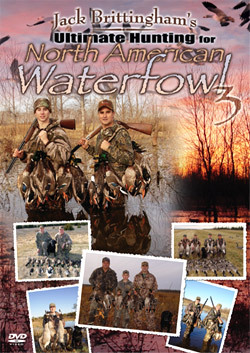 You will enjoy non-stop waterfowling action for Mallards & Canada Geese in the vast crop fields of Alberta, Canada. Then follow the hunters to Oklahoma & Texas as they hunt the flooded marshes for Mallards, Pintails, Teal, Snows, and a variety of other waterfowl species. You will be amazed by the variety of settings, excellent dog work, magnitude of ducks and geese, and the fast paced action that you have come to expect from a Briar Lakes Productions waterfowling adventure. Nothing captures the essence of the hunt better than good friends, a trusty dog, and memories that will be shared for many years to come. 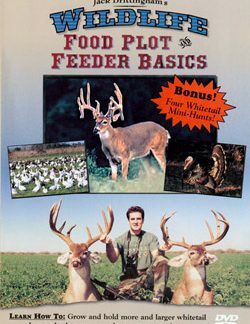 This is truly a must see video for the beginning hunter to the serious waterfowler.